We bought these with the bambino Mio nappy bin, use for our reusable nappy’s and wipes. They come in a pack of 2 and fit the bin perfectly. Easy to fit and remove without having to touch anything dirty. Simple and effective, highly recommend. 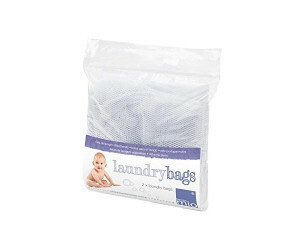 These are great little draw-string bags that we use in the mio nappy bin. They fit perfectly and hook into the top of the bin so that they don't slump down as nappies go in. Just un-hook and put in the washing machine with the nappies! No need to get dirty hands or have to route around looking for the top of the bag. They are good quality and wash well, holding their shape and don't shrink. Would definitely recommend these. Bambino Mio Laundry Bags to help make washing reusable nappies as easy as possible. Use with a Bambino Mio nappy bucket. 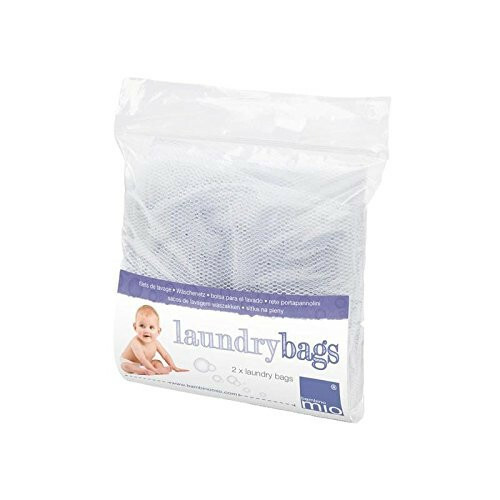 Large net laundry bags that can store an entire load of washing. Removes the need for handling used nappies when transferring them into the washing machine. Designed to fit onto concealed internal hooks inside the Bambino Mio nappy bucket. Available in packs of two; this allows one bag to be in use while the other is in the wash.